Help control blood sugar & allied complications. It safe , natural & effective. 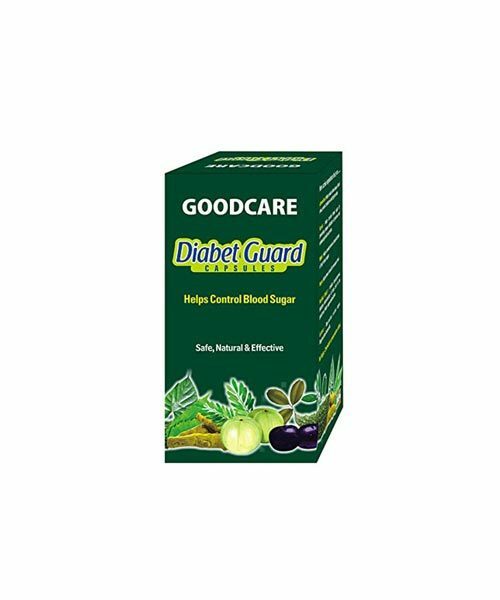 Diabet Guard is a highly potent Ayurvedic formulation of 20 special herbs that not only effectively reduces blood sugar level, it even stimulates the pancreas to produce insulin. This unique synergetic combination of Gurmar patti, Jamun gutli, Giloy, Haldi, Gular patti, karela, Khadir, Amla, Bijayasar, Tejpatra, Kutki, Neem, Sodhit Shilajeet, Methi, helps to prevent allied complications associated with diabetes. Moreover it is safe and without side effects. By combining the regular use of Diabet Guard with a balanced diet and exercise it is now possible to lead a perfectly normal and productive life. Jamun Seed : Help reduce blood sugar , blood urea, serum,cholesterol & triglycerides. 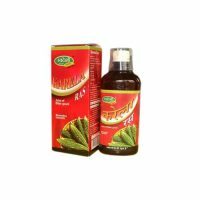 Karela : Helps control blood sugar by promoting proper utilization of glucose & enhancing insulin secretion. Methi : Help combat various complications of high blood sugar. 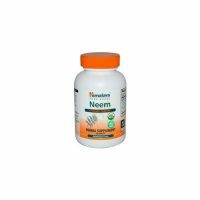 Neem : Helps lower blood & urine sugar level. Purified Shilajit : Inhibit hyperglycemia. Hinder deteriorating of beta cells in the pancreas. Helps sugar assimilation. Gurmar : Neutralises excess sugar. Regenerates beta cells. No sugar, Chemicals or preservative added. Control blood sugar. Rejuvenates the pancreas. 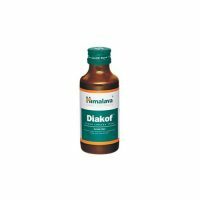 Effective in controlling blood sugar & allied complications. Dose : 1-2 caps twice daily, 15 min before meals or as directed by physician.